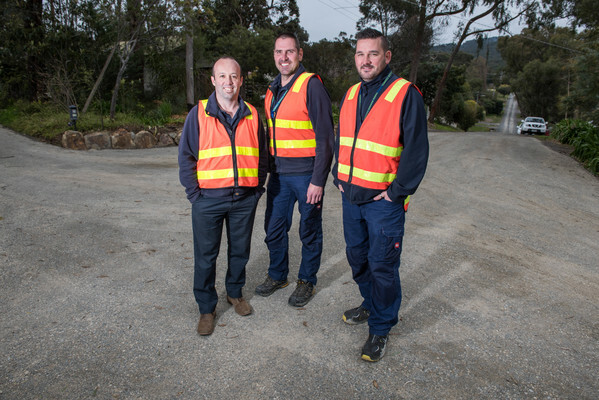 Waste management officer Pete Tatterson, infrastructure maintenance co-ordinator Stu Russell and works supervisor Josh Sanders at the end of Margaret Road following the works. A new turnaround area will boost safety on Margaret Road, Mount Evelyn. 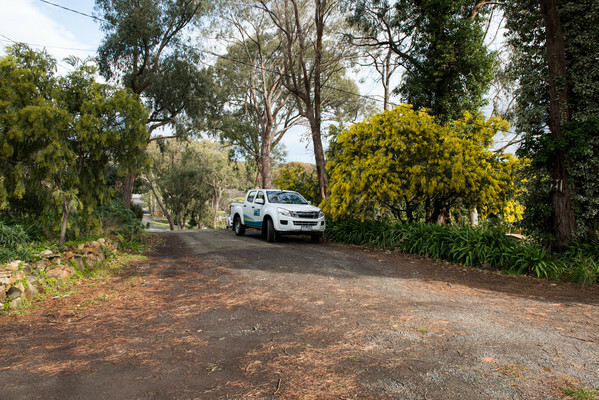 Yarra Ranges Council made the space in August following consultation with residents. Mayor Len Cox said the turnaround was a priority for the council because waste and recycling trucks were reversing down the road during weekly collections, which could be difficult for drivers and pose safety risks for pedestrians. “Reducing the amount of reversing our trucks undertake improves safety for both the drivers and our community, and will help to give residents peace of mind, whether they’re driving or watching their kids play,” he said. Cr Cox said the council identified the opportunity to remove some pine trees to improve visibility and access for drivers and residents. “The residents have then been able to use the felled tree for mulch and firewood, and have responded very positively to the works,” he said. Margaret Road resident, Samantha, said she was happy with the works. “It’s been fantastic. The tree works have brought in a lot of light, so it’s much better,” she said.